Since then you will have seen from my summer round-up, a lot has been happening. Now, I would like to share another exciting development with you. I am pleased to announce that I have brought together a new panel of external disability expert advisers. Their role will be to support and challenge the Civil Service - including our disability champions and me personally - on achieving greater inclusion in the service for people with a disability. This group of experts met for the first time on 12 July. Both individually and collectively they bring to the Civil Service a wealth of knowledge and expertise, as well as some personal experience and insight into living with disability. I am hugely grateful to them all for agreeing to take on this role. As well as challenging our thinking, the panel will give the Civil Service access to the richest possible pool of best practice from both the wider public and private sectors. You can read more here about the members of the panel. I will provide updates on the work of this new group in future blogs. That sounds like a very exciting development. But what about including staff working in the civil service who have disabilities. They have a wealth of expertise snd of course their own experiences of working in the civil service both postive and negative that they can bring to this new project. And of course with working in the civil service they deal with customers either directly or on the phone and can have a greater understanding of customer needs on the "workshop floor" as it were. 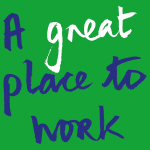 If you really want to make improvements then use the greatest assest you have, your employees! You are absolutely right, Charlotte. I hope Philip will take your suggestion on board. Andy and Charlotte – thank you for your comments and apologies for the delay in responding. I really appreciate the value of voices of disabled colleagues in this conversation. The chair of the Civil Service Disability Network, Alex Freegard, is a member of both the Expert Advisors Panel and the Disability Champions Group to provide insight and feedback from the employee perspective. I also regularly engage with colleagues with disabilities via staff events and initiatives, such as the PurpleSpace bursary scheme, to ensure we are developing a strong employee voice. Wonderful initiative to see - the critical friend voice is crucial in the redesign of a system or service! As a disabled civil servant, thank you for your leadership on this. Echoing the previous comment, also a request to ensure we are tapping into the voice, creativity and energy of disabled staff too. I'm sure it's happening but would be good to hear more about that. Finally a thought - making an organisation inclusive for all staff is in effect a service design challenge. Have you thought of perhaps connecting with the service design and user research expertise in Scottish Govt (blowing own teams's trumpet here) and in GOV UK - Louise Downe or Kevin Cunnington in GDS for example would be a good starting point. Whilst we are all in the digital space service design is service design regardless of channel! Cat - thank you for your comment and suggestions and apologies for the delay in responding. I absolutely agree that we should aim to be as joined-up as possible to support colleagues with disabilities. I have recently met with Kevin Cunnington to discuss the ways in which we can work with GDS to improve the accessibility of systems used by individuals within the Civil Service, and the cross-Government Disability Inclusion Team is working closely with individuals in GDS to explore how we can use digital expertise in the disability space. Charlotte – thank you for your comment and apologies for the delay in responding. As Alex Freegard has responded below, if you are interested in becoming involved with some of the accessibility testing undertaken by the Civil Service Disability Networks then please do contact Alex via CSDN to express your interest. Charlotte / Cat, Thanks for your comments. As the Chair of the Civil Service Disability Network CSDN, I represent over 50 staff disability networks . See: https://civilservice.blog.gov.uk/civil-service-disability-network/. Please get in touch via CSDN if you would like to know more about the disability network. An excellent point. The Civil Service is good at talking the talk, but not so good at walking the walk, as it were. Whilst moves such as this are positive, people with a range of disabilities need to feel valued and not feel as though they have to aspire to fit "the norm" (whatever that may be!) Policies and procedures generally do not take people's unique circumstances into account. Stephen – Thanks for your comment and apologies for the delay in responding. It is important that centrally led initiatives to build a truly inclusive Civil Service are mirrored at Departmental level. This is why I have established regular meetings with board-level Champions in each Department to discuss and share examples of best practice. If you would like to raise a concern and/or do not know who your departmental Disability Champion is, then please contact Amy Jones (amy.jones@cabinetoffice.gov.uk). I hope they cover Invisible Disabilities too - like 'Diabetes' and 'IBS'. Trying to explain to colleagues why you are yet again running to the loo when they say 'isn't IBS' all in the mind really doesn't help! I agree with you. I have numerous hidden disabilities, dsycalculia being one of them (not being able to work with numbers) this affects me quite badly when it comes to working in the office environment. Yet no thought is given to this. I agree those with learning disabilities should be catered for as well. Thumbs up for a good point you raised. Absolutely agree and more should be done to tackle unconscious (or sometimes conscious) bias. An hour's training course is simply not enough! Samantha – thank you for your comment and apologies for the delay in responding. It’s really important to raise awareness of non-visible disabilities. The new Disability Awareness training being developed by CSL will include videos of real civil servants discussing their conditions and how their colleagues can provide support, and non-visible disabilities will be one of the groups that will be covered. When the learning goes live this may be something you wish to signpost and share to your team! Is anything being done to make the Civil Service inclusive to people with learning disabilities such as Down's syndrome? It would be good to start seeing placements and positions tailored to what people with Down's syndrome can offer. The private sector are way ahead of the public sector in this. See http://www.dsworkfit.org.uk/ for further details. Martin – Apologies for the delay in responding. It would be good to learn more about the private sector initiatives taking place to offer work placements to people with learning difficulties such as downs syndrome. If you have more information in addition to the link, please email this to Amy Jones (amy.jones@cabinetoffice.gov.uk). I will ask my Panel members for their insight on best practice examples in this area at our next meeting. Thank you for your comments, and I will keep you updated on our progress. The speakers CVs don't (with one or two exceptions) give much clue as to their personal experience with disability or of a background that might make them especially empathetic with the average person (with a disability). There's a slight feel of 'The Great and the Good' about this panel, and an apparent absence of members from ethnic minority groups. In the unlikely event any of them feel inclined to reply (The Great and the Good so often don't), I'd be interested to hear what they have to say about that. Hugh – thank you for your comments and apologies for the delay in responding. I can assure you that many of the panel members have personal “lived” disability experience and insight, combined with a strong commitment and passion to improve disability inclusion for disabled colleagues within their particular disability area. The CVs merely provide a high level pen picture and it is an individual choice on whether to share details within this of their disability. You make a valid point and insightful observation regarding the lack of BAME representation on this group. I will take this on board and actively seek to attract BAME disability leads, when considering future appointments to the panel. Good post! Learning disabilities are often overlooked. I have a learning disability myself with suffering with Dyscalculia That is the problem of working with numbers. There should be more consideration given to people with learning disabilities, and one should not be refused a transfer when they are no longer able to perform the job if the role changes!! Charlotte – thank you for your contribution to the debate on learning difficulties, highlighting Dyscalculia as a personal example. As I have responded to Martin above, I would be very interested in learning more about what we can do in this area, and intend to discuss this with the Panel at our next meeting. I'm always pleased that the aim for a more inclusive workplace is being addressed. However from my recent experience in the office I work in no consdieration was given when planning a recent reorganisation to the fact that I have a disability that means I have difficulty walking and it is painful for me to walk. I need to be seated as near to the door as possible, and only found out by someone not connected with the planning who asked if I realised I was going to be moved much further from the exit ? Paul – Thank you for your response and apologies for the delay in responding to you. You make a good point about the importance of considering disability and workplace adjustments when planning organisational and estates changes. I am sorry to hear that you have had a negative experience. If you would like to feed this back or feel that further lessons can be learned, then please contact your departmental Disability Champion. If you are unsure who your Disability Champion is, then please contact Amy Jones (amy.jones@cabinetoffice.gov.uk) who will be able to provide you with details. This is a subject I feel passionately about. Disabled people should be included, and their learning style should be respected. I feel there needs to be more awareness on seen and unseen disabilities, people tend to be ignorant to what people with a disability go through and there is a grave lack of understanding. People make assumptions and there are many stigmas out there that tend to stick. Everyone is different and everyone knows their limits. I think there needs to be more recognition and more awareness to the fact that disabled staff do indeed have a lot to offer, and are capable. There needs to be more education. I welcome any initiative to be positive about disabled staff, as this is an area that needs vast improvement. I think the CSL course on Disability Awareness should be made mandatory to start with. L – Thank you for your comment and apologies for the delay in responding. CSL are currently developing an improved disability awareness learning product, including videos from actual civil servants talking about their disabilities and how their colleagues can be supportive. One of these specifically focuses on non-visible disabilities. Hopefully this will improve awareness of the value added by disabled colleagues and challenge some of the common myths around disability. As part of this ongoing wider review of the current learning offer, we will continually consider which learning products need to be deemed mandatory. I wish this panel the greatest success and hope it actually makes a difference. As a disabled member of staff and a union rep two areas I would like to see addressed are the high number of disabled people given not met markings and the lack of promotion. Sam - Thank you very much for your good wishes and apologies for the delay in responding. During my upcoming bilateral visits to departments in the New Year I will be discussing a broad range of disability issues including building a disabled talent pipeline and how best we can identify and promote disabled talent. We have taken steps to extend the reach and actively encourage talented individuals from all under-represented backgrounds, including disabled people to apply for mainstream talent programmes such as the Future Leaders Scheme. Examples of actions taken include: rigorously evaluating individual programmes with a diversity lens to identify drop-out rates at each stage of the application and selection process and to remove barriers; and applying positive action where appropriate, such as offering all META, Positive Action Pathway and Accelerate participants alumni guaranteed entry to FLS Stage three (interviews). In addition to this, we have developed a number of positive action development programmes such as the Positive Action Pathway and Accelerate that seek to advance talented disabled colleagues. A further example of this is the PurpleSpace bursary scheme that looks to develop current and aspiring disabled network leaders. You will hear more about this programme in a future blog. 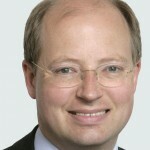 The single Civil Service-wide performance management (PM) approach has helped ensure we have the capability to deliver our objectives in a complex, fast-moving environment, placing equal focus on skills and behaviours so people are clear about how they are performing and managers can ensure the appropriate support and development is available. The new PM Framework which comes into effect from April 2017 gives departments greater flexibility to tailor their PM approach to make sure it is focused on performance conversations and building an inclusive culture, rather than process. Your department will be communicating if they have not done so already, about what the new framework means to them. We are also continuing to run and evaluate a number of trials to help us to understand what are the best approaches to improving people's experiences of the PM system and D&I outcomes. What about involving the Trade Unions who also have a wealth of knowledge and experience to offer. I agree you do need current staff on your committee so that you fully understand the up hill daily battle they face just to be accepted. There are more people with hidden disabilities than visible ones and far more work needs to be done to educate everyone about hidden disabilities and the need for reasonable adjustments. What about those Departments that do not have disability networks, who represents them? Hi Bernadette – thank you for your comment, and apologies for the delay in responding. 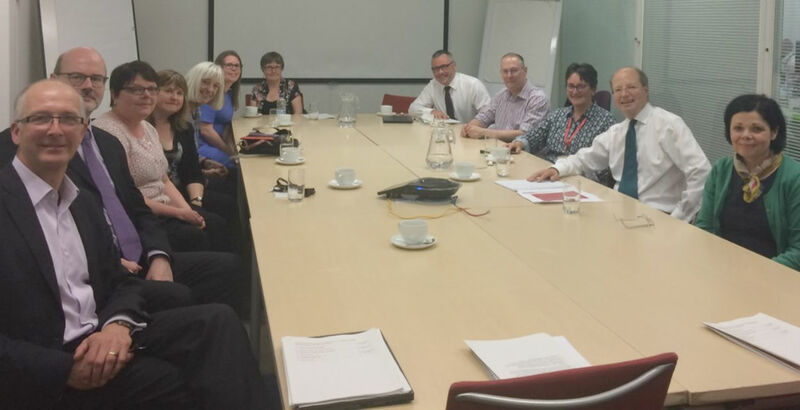 We regularly engage with the National Trade Unions on disability issues and their support and input has been invaluable in commissioning and shaping initiatives such as the Positive Action Pathway and Central Workplace Adjustment pilot. I agree that trade unions have invaluable insight to offer and look forward to continuing a close partnership arrangement in moving the disability agenda forward. We need to ensure that hidden disabilities are recognised and we have undertaken considerable recent work on mental health and neurodiversity, such as the Autism Work Insight Pilot. 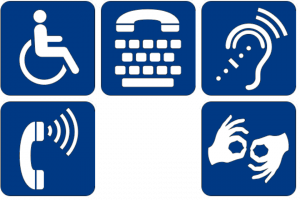 For departments that have no disability network we would suggest that you contact the Civil Service Disability Network. There may be a cross-government, condition- specific network for individuals to join, such as the Civil Service Stammering Network. Alternatively, they may be able to provide support as you form your own networks. In addition, you can also feed in directly to your departmental Disability Champion. If you are unsure who your departmental Disability Champion is, then please contact Amy Jones (amy.jones@cabinetoffice.gov.uk). Hi Tony – thanks for your comment and apologies for the delay in responding. It is great to hear your feedback on the recruitment cafes and I will pass this on to the Fast Stream Team. In terms of avenues to bring on existing talent, there are routes such as the Positive Action Pathway and Accelerate programmes that focus on talented individuals with disabilities. We are also building talent through other routes such as disability networks, with initiatives like the PurpleSpace bursary scheme which is aimed at encouraging aspiring network leaders to reach their full potential. I will refer your points about the Guaranteed Interview scheme to the DWP Disability Confident (DC) Team. The new Disability Confident scheme includes much more material about how employers can ensure that disabled applicants for jobs are encouraged and enabled to apply and that they receive the support they need at the application and interview stages. The DC team will, I am sure, be interested in your comments as they continue to develop the scheme. I will also pass on your suggestion of a shadow panel to CSEP colleagues who have the policy lead for the Performance Management System. I regularly take input from the Civil Service Disability Network and am happy to hear from civil servants who wish to relay their experiences. We are also always looking for more individuals who are willing to contribute to blogs or other communication activities, so please contact me at disability.champion@dft.gsi.gov.uk, if you would be interested in sharing. Sounds great. Could you look at the current sick policy relating to disabled staff? I have 4 disabilities which all affect my daily living (mental, health & physical). I have made these conditions clear and informed that I require medial and possible sick time. I am now however having my sick investigated under formal procedure as I have gone over 8 days per year/18 months. I am currently waiting for occupational health to review my case and give direction as to which sick is allowable and or related to my disabilities. I can prove all sick is genuine and I have been independently advised that each of my disabilities should increase my allowable sick level. I have however had it said that if I am unable to do my job, occupation health should be used to back up a case for reasonable dismissal (not what I thought it was for). I do not feel very supported or understood at all. Especially when being accused of using sick for extra leave. SAS - Thank you for your personal insight and concerns about the application of sickness absence policy. You clearly have strong views on the issue and about the lack of support received. I would encourage you to raise this with your departmental disability champion. If you do not know who your departmental champion is, please contact Amy Jones (amy.jones@cabinetoffice.gov.uk). I agree with so many comments above. It is difficult to feel optimistic in the face of a panel of experts who may not be able to get to the level of detail that makes workinq in the civil service difficult for its disabled employees. I can give you several personal examples of where my organisation has not catered for my needs while trying admirably to do so. Policies do not always lead to practical solutions at the individual level. I wholeheartedly agree with the comment from L Boulton that everyone is different and everyone knows their own limits. This applies to what we can do, and what we cannot, but too often objective measures are used in lieue of the individual's own experience.